If you're not completely satisfied with your web site running on the DM Webhosting Virtual Servers, you have a FULL 30 DAYS to cancel and receive an immediate refund of the money you paid (except for any set-up fees.) No excuses, no delays, and no questions asked! As stated in the web service agreement, the posting of any "adult" material or pirated software voids this guarantee. 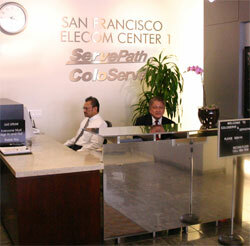 ServePath owns and operates its own data center which was originally built by WorldCom in 2000. The building also houses “super-nodes” for Verizon and AT&T local phone service in San Francisco, so it is considered an “essential” facility because 911 calls are routed here. 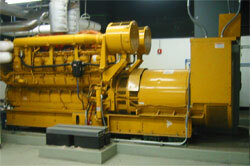 We share generators, power, cooling, and fire suppression infrastructure with Verizon, including dual 2 Megawatt generators that support the critical power requirements and operations of the building. You can rest assured that your servers are secured, managed and monitored in a state-of-the-art facility, and as a customer you have access to the most reliable Support team. ServePath's Network Operations Center (NOC) is built right in the center of our support facilities and is staffed 24/7/365 by certified systems administrators and network engineers. 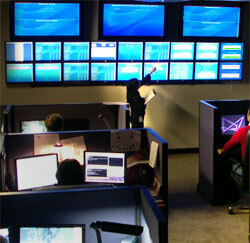 The 21 screens that make up our NOC monitor everything from network traffic and performance to power, temperature and security systems to services, applications, known vulnerabilities and RAID array status on customer servers. Our data center is located in the San Francisco Telecom Center, conveniently located just south of San Francisco’s Financial District. 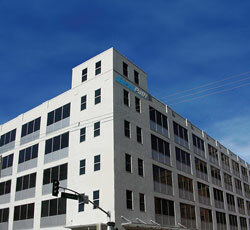 This 100% occupied telecom building also houses AT&T and Verizon "super nodes". Six separate fiber entrances with 2 fiber rooms. A large portion of the Bay Bridge Fiber Consortium terminates in the building (cross-bay Fiber). 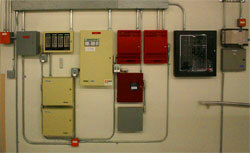 State-of-the-art redundant systems for power, HVAC, fiber connectivity, seismic precautions and fire suppression. 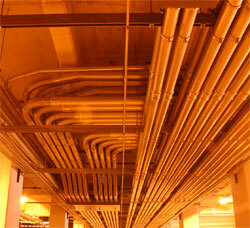 Our state-of-the-art fire suppression has three levels of protection. 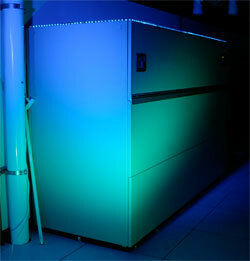 Our data center maintains the highest possible standards for physical security. ServePath has tremendous cooling infrastructure, with dual redundant chilled water supply loops and multiple Liebert air conditioning units pumping cold air into the pressurized raised floor of our data center. ServePath operates its own Screaming-Fast Network™, featuring multi-homed bandwidth with connections to over 40 networks. We route traffic over major Tier 1 Internet backbones such as UUNet/MCI, Level 3, NTT/Verio, and AboveNet, with no low-quality bandwidth and plenty of network capacity for maximum reliability and scalability.